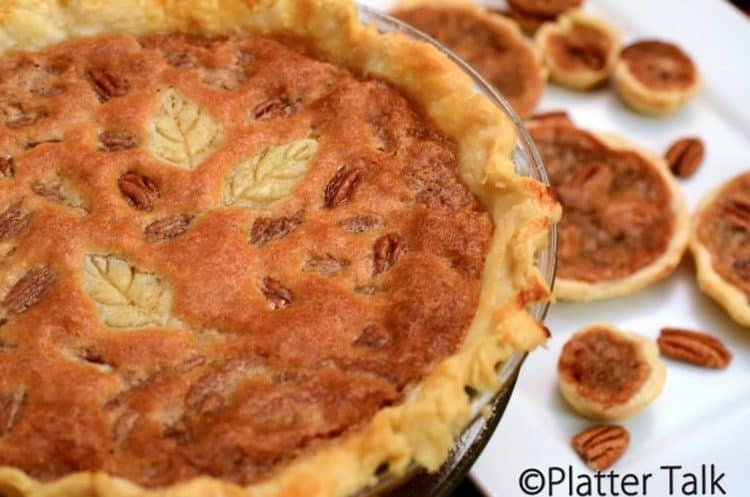 This pecan pie recipe has been in my family for decades. It’s not only decadent, it’s easy to make, is quite nice to look at, most importantly for me, it has a story, or rather a person behind it. This recipe came from the wife of my late father’s best friend who has also been gone for sometime now. 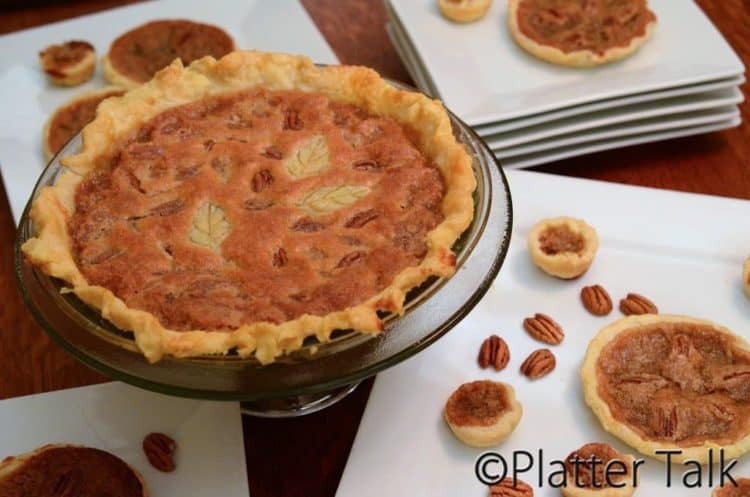 This may look like just a pecan pie but in our family, it is known as Betty Briscoe’s Pecan Pie. Growing up, the name “Andy Briscoe” conjured up an epic number of emotions. Largely because the man behind the name had an epic presence. Substantial in stature, funny, friendly, loyal, and lighthearted, he was omnipresent in our family and although we only saw him infrequently he was considered part of our family due to the close, almost childlike bond he and my dad shared. The antics shared by Andy and my dad were well known to both my dad’s family and to Andy’s. Most times, I think their respective spouses merely tolerated the adult playmates of their husbands. Andy was always welcome in our home and at our table and he was present at both often. Nonetheless I’m pretty certain that for my mom, at times having him around was like having another kid around, as I feel equally certain that Andy’s wife, Betty, felt when my dad was over at their place. To that end, between you and me, I don’t think there was a great deal of love lost between my dad and Betty. Their friendship started as youth in the hard days following the Great Depression and it extended into the mid-20th century. Andy eventually settled, for decades, in Sarasota on Florida’s gulf coast, leaving his native New York and best friend far away for most of the year. For many years, my dad and Andy only got together when Andy would visit us in NY during the summer, and then for a few months each winter when my parents would winter at their home in Sarasota. Looking back, I doubt it was by much coincidence that my parent’s Florida home was one street away from Andy’s house, literally only several hundred feet separated their two places. The day finally came, with both their advancing ages, when Andy and Betty moved away to be closer to their children during their twilight years. It wasn’t long after my mom lost her battle to ovarian cancer while in Florida, when Andy left the state; never to return. It must have been hard on my dad to lose his soul mate of half a century along with one of his lifelong best friends, Andy. After Andy and his wife moved away, I never heard from them or saw them again. In just the matter of a few years from her passing, my dad joined my mom and there was nothing but a boat load of memories of the friendship shared between Andy and my dad. Except for Betty Briscoe’s Pecan Pie. Certain things in life are sure. 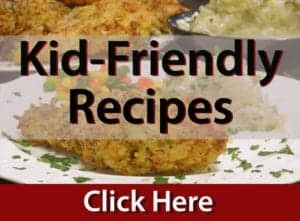 Certain friendships, relationships, and recipes. 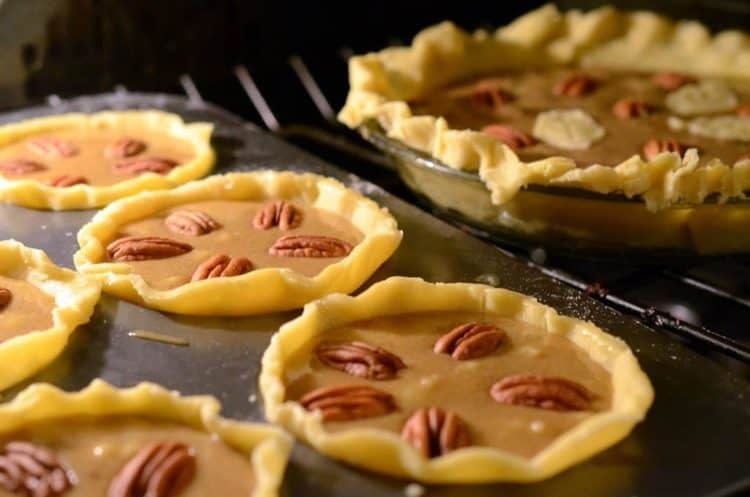 Betty Briscoe’s Pecan Pie was and has always remained, a sure thing. Why it is unique, I can’ t say – only that it is always succulent in taste. 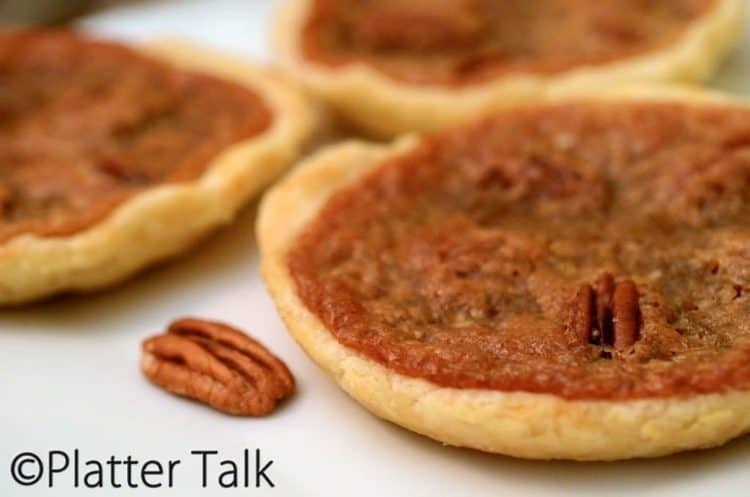 How is it different from other pecan pie recipes? 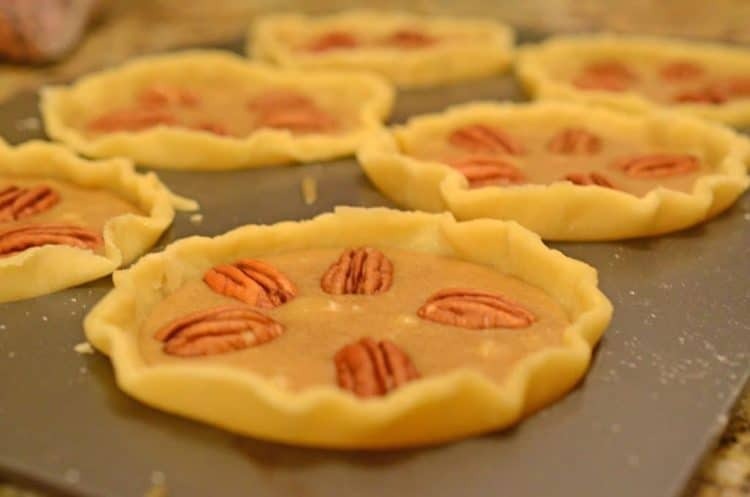 Other than to say that it has never failed, again, I can’t say because I have never made any other pecan pie. 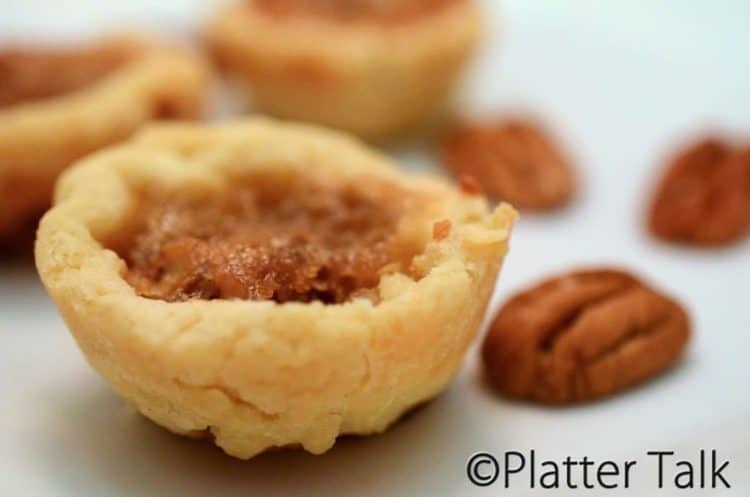 For a little variety, we rolled out some of the pastry and made some mini-pies in a muffin top pan. 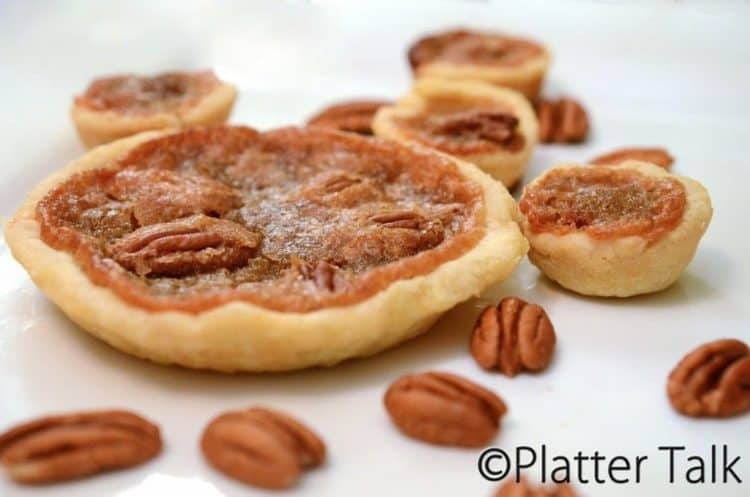 Along those same lines, we also used a mini muffin pan to make some delectable pecan pie bites. These sweet tarts would be perfect at a holiday party or holiday dinner. 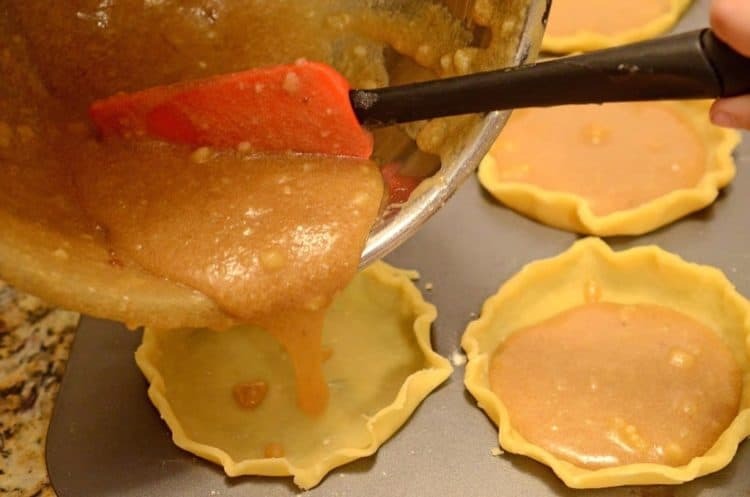 You may have noticed in the above photos that while putting this pie together, I had some very good help, my little sous chefs and hand models, as they like to be called. 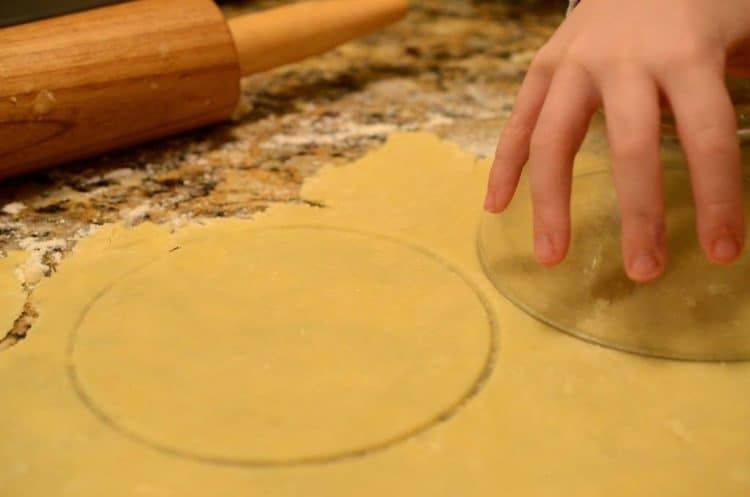 While we put these treats together, the three of us talked about some techniques in rolling a pie crust, some basic measuring principles, and we talked about where this recipe came from. The people whose lives were central to this recipe have long departed, yet this pie lives on. Thanks to the good help I had, who turn 8 this Thanksgiving, I think it’s a safe bet that Betty Briscoe’s Pecan Pie will be around for a long time to come. 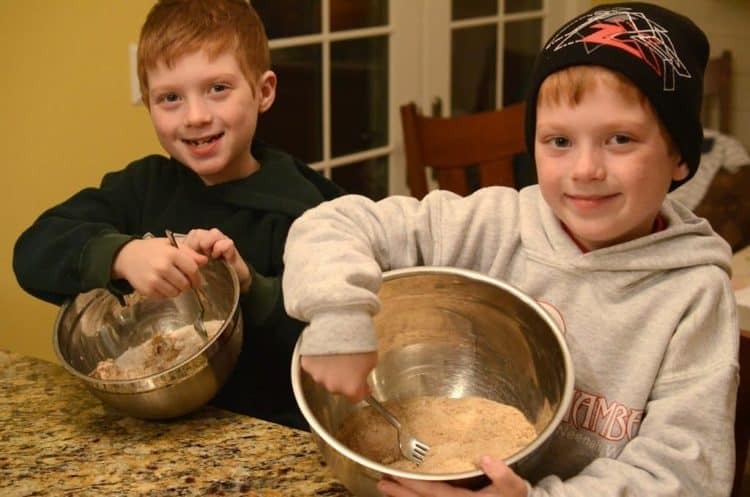 In large mixing bowl, combine sugars, flour, and salt. Stir until thoroughly combined. In separate bowl, stir and combine butter, vanilla, milk, and eggs. Add egg mixture to sugar mixture and stir until blended together. 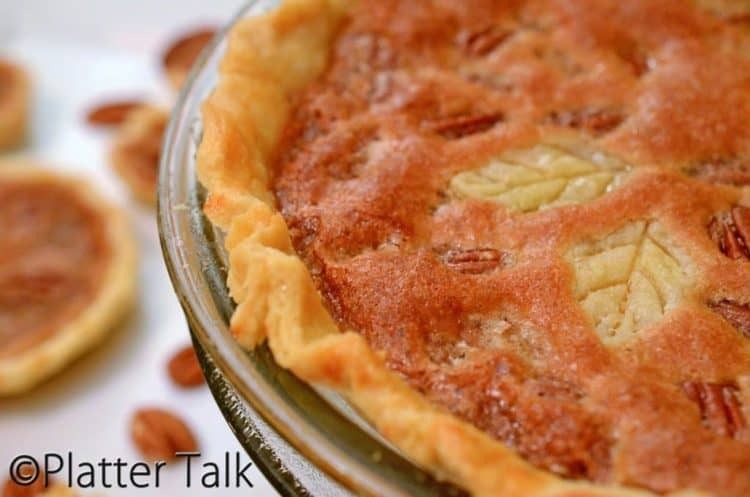 Pour into unbaked pie shell and bake 40-50 minutes until browned and center is set. Simple, flavorful and so perfect for upcoming holidays. 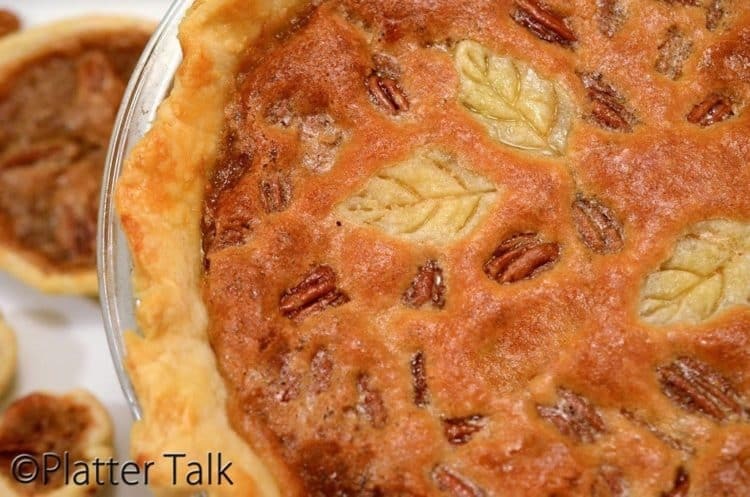 I can’t imagine holiday table without pecan pie. I love these mini versions. They look delicious! 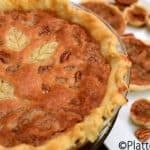 I love good pecan pie, dare to make it as afraid of the filling mixture failure. 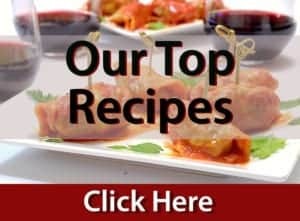 But your recipe sound really easy to put together. I am going to give it try for sure. This looks like a perfect recipe for a family! Not only it looks delicious but it must be so much fun! Definitely on the list to try.